It’s About Caring for Kids (IACKids) was started in 2012 by five Italian-Americans in an effort to give back to families going through trying times due to their child’s severe illness. We are a not-for-profit organization that supports families with severely ill children that are patients at the Golisano Children’s Hospital. 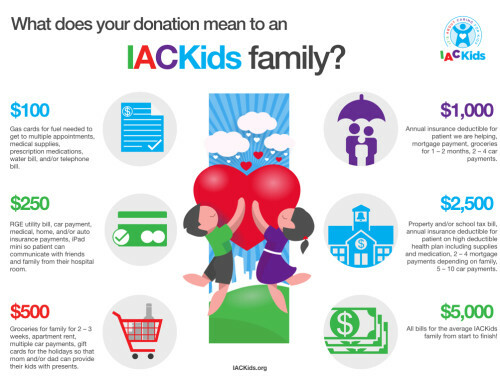 The IACK has pledged a minimum annual contribution of $25,000 to support the families in most need; specifically middle class families not on government assistance. We work directly with the Pediatric Social Work team to identify the most appropriate families to help them with some of their most basic needs during the challenging times of having a child in the hospital for an extended period of time. Visit us at www.iackids.org. U.S. News & World Report ranked Golisano Children’s Hospital at the University of Rochester Medical Center as one of America’s Best Children’s Hospitals for Neonatology, Orthopaedics and Neurology and Neurosurgery. 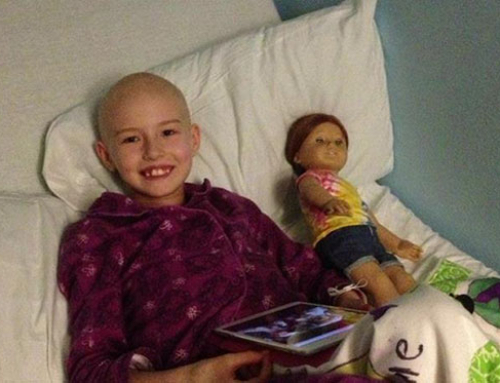 Our 124-bed children’s hospital serves as the referral center for upstate New York, surrounding states and Canada. We combine award-winning research, internationally acclaimed education and compassionate care to serve our children and families.